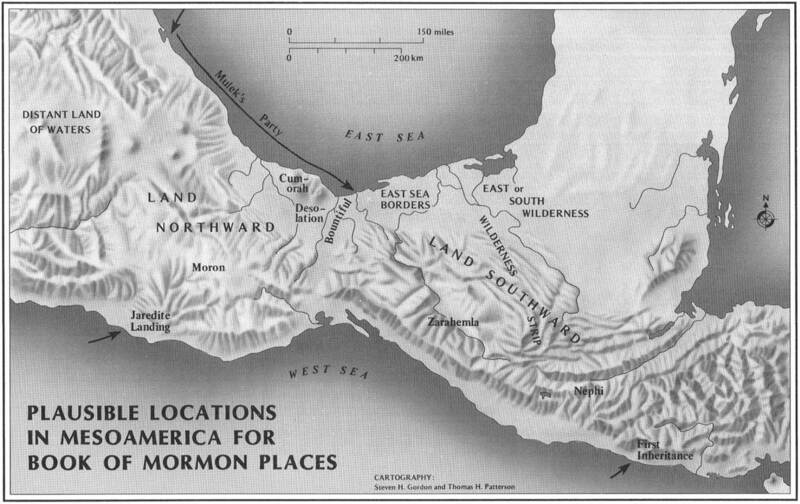 Abstract: The 1985 publication of John L. Sorenson’s An Ancient American Setting for the Book of Mormon presented the best argument for a New World location for the Book of Mormon. For all of its strengths, however, one aspect of the model has remained perplexing. It appeared that in order to accept that correlation one must accept that the Nephites rotated north to what we typically understand as northwest. The internal connections between text and gography were tighter than any previous correlation, and the connections between that particular geography and the history of the peoples who lived in that place during Book of Mormon times was also impressive. There was just that little problem of north not being north. 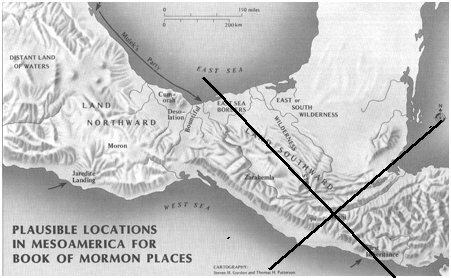 This paper reexamines the Book of Mormon directional terms and interprets them against the cultural system that was prevalent in the area defined by Sorenson’s geographical correlation. The result is a way to understand Book of Mormon directions without requiring any skewing of magnetic north. 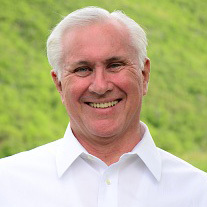 In 1985, John L. Sorenson published An Ancient American Setting for the Book of Mormon.1 That book was the culmination of decades of work establishing a real world setting that plausibly fit the textual geography in the Book of Mormon. Sorenson’s model places the Book of Mormon in part of the region known as Mesoamerica, extending from perhaps a little south of modern Guatemala to somewhat north of the Isthmus of Tehuantepec. These are serious considerations. How could Nephites possibly think that the sun would come upon in the south and set in the north? They couldn’t. Yet we have a geographic correlation that fits both real world geography and cultural history remarkably well—except when we come to the terms north, south, east, and west.4 I propose that if Mesoamerica is a good fit for the Book of Mormon’s real world geography, then information about Mesoamerica may be used to reexamine and refine the nature of that fit.5 In short, an understanding of the Mesoamerican directional system offers an explanation for the way that Book of Mormon directions correspond to that geography, without recourse to an artificial shift in the directions. Scholars have found a very similar directional system among the various Mesoamerican cultures. Much of the data come from the Maya cultures because the ability to translate the carved and painted texts provides a unique view of pre-contact culture currently unavailable for any other Mesoamerican people. Nevertheless, what may be more carefully worked out in the Maya data has sufficient corroboration in data from other cultures to depict an essentially pan-Mesoamerican orientation system. There was no universal center. Each city was its own world—its own center. Each family home replicated the world and placed that family at its center. For Mesoamerican cultures, direction was equally symbolic as descriptive. 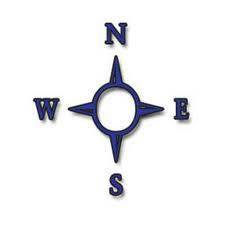 Not only does the “center direction” differ from our Western understanding, even the Mesoamerican directions that roughly correspond to our north, south, east, and west were differently conceived. Susan Milbrath, affiliate professor of Anthropology at the University of Florida, describes the Mesoamerican mode of orientation using a Maya community as her example: “Analysis of Chamula astronomical concepts indicates that the primary axis is an east-west direction based on the sun’s daily path. . . . Even though they recognize that the zenith position is overhead, the east is visualized as the ‘up’ direction and the west as ‘down.’ 8 A universal aspect of Mesoamerican directional systems is that they are based on the path of the sun. They encode that path throughout the year, tracing the shifting rising and setting of the sun from solstice to solstice. Figure 3: The figure on the right indicates the solsticial path. This was often conceptually regularized into the pattern on the left. While the five-part concept defined the understanding of one’s orientation in the cosmos, the actual directional system appears have been built on only a single “direction,” which was the path of the sun throughout the day and throughout the year. Other spatial relationships were made against that defining axis. We should not assume that Tzeltal speakers don’t understand right and left. They certainly do. They simply use different terminology to describe those spatial relationships. What Pinker didn’t know was that the upslope/downslope spatial orientation was repeated in their concept of world directions. Upslope/downslope are not only the terms the Tzeltal use instead of “left /right,” but are also used instead of “south/north.”12 The Tzeltal conceive of the East/West axis as the critical direction for orientation. Upslope (left and south) and downslope (right and north) are simply the same terms they would use for anything else that is spatially oriented against the main reference (the sun in the case of the directions, or the human body in the case of the location of the spoon in the cup). 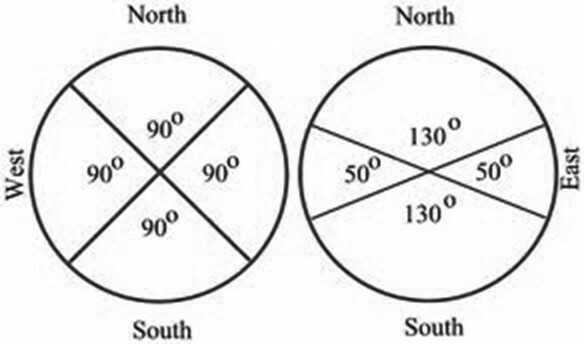 They are not precisely terms for “north” or “south”, but for spatial orientation against a reference position. This idea is corroborated by a larger study of direction terms in various Mesoamerican languages. 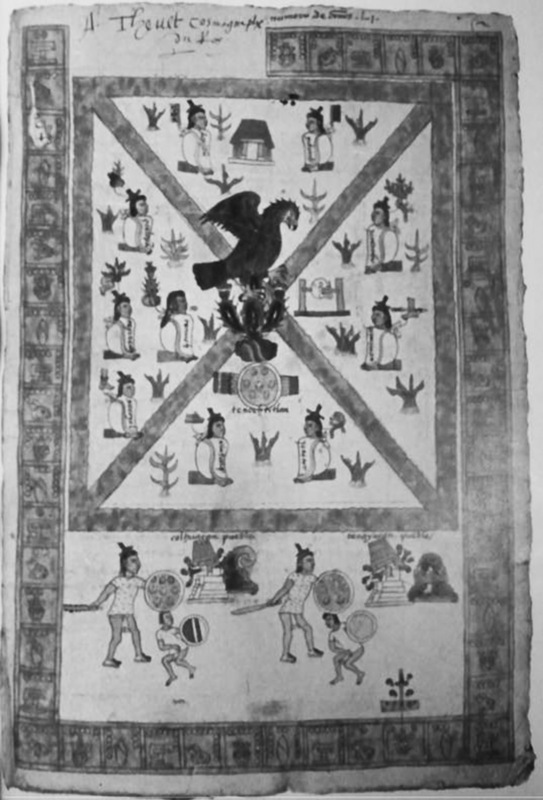 Nicholas A. Hopkins, visiting instructor at the Centro de Estudios Mayas, Universidad Nacional Autónima de México, and J. Kathryn Josserand, Research Associate, Pre-Columbian Art Research [Page 130]Institute, found a general agreement in vocabulary for east and west that was related to the path of the sun. Perhaps the most important indication of the difference between our modern Western perception of directions and that of the Mesoamerican cultures is our persistent desire to find north. It likely reflects our reliance on the compass pointing to north, but is buttressed by our familiarity with maps that conventionally place north at the top. Thus we understand where we are on a map when we can find north and place the map into its proper relationship with the land around us. For the Mesoamericans, the question would be “where is east,” and the answer was determined by the sun. What was in the east could range from solstice to solstice, but it could also be rectified to the central point. Even though what might lie in the east (or on the north) could fall into a quadrant emanating from the center point, it could also be standardized into the average between the two. When Mesoamerican cities were built, there was often an east-west road also often intersected by a perpendicular north-south road. A road may be built only in one place, and the center point of the range of what was east or on the north was used. This is easily demonstrated in one of the early features of many Mesoamerican cities. It was a complex that has been called an E Group. Francisco Estrada-Belli, Visiting Assistant Professor at Boston University (specializing in Mesoamerican archaeology) describes this type of construction: “E-Groups are generally formed by a western pyramid with radial stairways to the west and an elongated platform with one or three small substructures on the east side of the plaza. Their name is derived from Group E of Uaxactun, which was the first of this type to be recognized. Triadic Groups are normally situated on an elevated platform and are formed by a main pyramidal temple flanked by two smaller ones facing each other.”19 This platform was used as a marker for the passage of the sun along the horizon.20) Importantly, there is a central pyramid in the group. Thus while Mesoamericans might comprehend a quadrant of the sky as east, they could—and did—use what we would see as cardinal directions to lay out sites according to those center points of the quadrant. The important concept for understanding directions in the Book of Mormon is that although Mesoamerican cultures could certainly find and use our cardinal points, their descriptions of personal orientation were given against the most obviously available spatial referent, the sun. That means that when describing the orientation of actions in the Book of Mormon, they would be referencing directions according to the location of the sun which traveled along the horizon, rather than the fixed conceptual center point of its travel. Hopkins and Josserand report that many of the languages they surveyed use terms such as on the left, or on the right to designate south and north.30 Where the Mesoamerican cultures used terms such as on the right/on the left or some other spatial indicator (such as the upslope/downslope of the Tzeltal) the Book of Mormon translation supplies the words north/south. Although the specific word comes from Joseph’s western understanding, the words are couched in phrases that replicate the functional relationships of the Mesoamerican system. Combined with the differences in terminology and cultural perceptions, it is little wonder that the Book of Mormon directions appear difficult to fit onto a modern map. That inherent difficulty becomes even greater when we insist upon reading literal geographic statements where the text does not intend a literal reading. That is the issue that clouds our understanding of the Nephite seas. Clark’s proposal that the north and south seas are metaphorical rather than physical finds an interesting parallel in the metaphorical use of the phrase “the other side of the sea” in various Maya documents. Frauke Sachse of the University of Bonn, and Allen J. Christenson of Brigham Young University, note that it is a metaphor that “remains hitherto largely unrecognized because a presumed literalness has obscured its metaphorical interpretation.”41 They conclude by noting that “the phrase ‘the other side of the sea’ in the Colonial sources is only a metaphor for a place of origin in the sense of creation and not departure, and thus does not necessarily refer to an actual location that could be found on any map.”42 It is perhaps not coincidental that the metaphorical meaning that Clark suggests for the sea north and sea south is also associated with a conceptual organization of the world. In a world conceptually surrounded by seas, the house of the sun would lie across the sea, or on “the other side of the sea.” Thus Sachse and Christenson explain: “We understand that in the Maya world view all creation involves the underlying concept of birth from a primordial sea in darkness. The world came into being because the earth and the mountains arose from the sea and the sky was lifted up from the water. Creation thus involves ‘dawning.’ ”45 The “other side of the sea” refers metaphorically to an origin in the conceptual east sea, the place of dawning and creation. Thus there was a very strong cultural preference for having a sea east and the parallel sea west. The question is how that conceptual world might have related to the physical seas that the Book of Mormon text requires. The original Nephite center point was not Zarahemla, but rather the City of Nephi. In Sorenson’s correlation, we have the highland valley of Guatemala as a plausible land of Nephi. From that center, the east sea would be right where several Book of Mormon geographers suggest; off the coast of modern Belize.46 From that original center point, the Nephites would then have had the option of calling the Pacific either the sea west or sea south, since it creates the coastline that would be both south and west of the land of Nephi. Because the definition of Mesoamerican direction system had the sun setting in the sea west, it is logical that they would have selected that designation for what we know as the Pacific Ocean. The interesting combination of the sea west being both west and south helps explain Alma 53:22: “And now it came to pass that Helaman did march at the head of his two thousand stripling soldiers, to the support of the people in the borders of the land on the south by the west sea.” The land south of Zarahemla bordered the west sea, not a south sea even though there was a coastline on the south. Using Sorenson’s correlation, Bountiful would be located at the northern side of the Isthmus of Tehuantepec. With that location as the center point, the Gulf of Mexico lies both on the north and on the east. Just as the cultural necessity of the sun rising across a sea east and setting in the sea west allowed the Nephites to define a sea west from the center point of the City of Nephi, that same cultural preference would naturally select sea east as the appropriate designation of that major body of water. No skewing of directions is necessary to see the Gulf of Mexico as the sea east based on the perspective of Bountiful as the center. Regardless of the body of water, the sea east existed as a description that was related to the cosmological understanding of the east as a place of creation and of the rising/birth of the sun. In the Book of Mormon, it is plausible that two different bodies of water served that function and were designated (not named) sea east to conform to the cosmological principle. The two lands conceptually meet along a dividing line: “Thus the land on the northward was called Desolation, and the land on the southward was called Bountiful, it being the wilderness which is filled with all manner of wild animals of every kind, a part of which had come from the land northward for food” (Alma 22:31). When the land northward has a name, it is Desolation. When the land southward has a name, it is Bountiful. They are adjacent lands. Land northward and Desolation are interchangeable labels, as are land southward and Bountiful. Maya epigraphers Stephen Houston, David Stuart, and Karl Taube note: “Consistently the right hand is ‘straight, correct large’ (no or to in Ch’olti’) or ‘fine, pure’ (batz’i k’ob in Colonial Tzotzil) and wikiaq’ab, ‘decorated, adorned’ in K’iche’, while the left hand is not quite obedient and thus, as in Colonial Yukatek, ‘ill behaved, graceless’ (tz’ik) or ‘clumsy like a cloven hoof’ (tz’itz’), and in K’iche’, moxq’ab, ‘crazy hand’.”56 In a spatial relation system that uses the right/left hand designation for the terms we call south and north, it is not surprising at all that the Nephites used a word for ‘left hand/north’ that would have a pejorative association. That was mirrored by the favorable association of ‘right hand/south.’ That the land northward was also associated with a “dead” Jaredite culture simply vindicated the pejorative association. This gives us a very simple explanation for why the land northward is Desolation and land southward is Bountiful. The labels replicate the cultural perception of the spatial relationships based upon one facing the rising sun (and indicate that the Nephite preference was to associate left/north similar to the Mayan languages of Yukatek,57 Chontal, and Cholti). 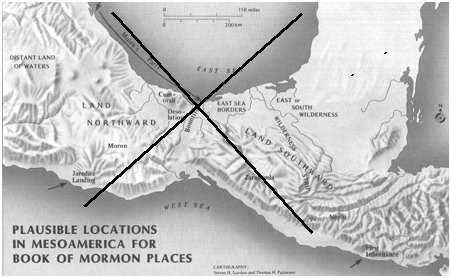 The most serious contraindication for Sorenson’s correlation between Mesoamerica and the Book of Mormon has been his apparent shifting of north some 60 degrees to the west. The quality of the correlations with the rest of the geography and cultural data suggest that we look to Mesoamerica to see if the cultural data from the region in which the Book of Mormon took place (according to this correlation) might provide an understanding of what has come to be called “Nephite North” (though it is not a term Sorenson used58 ). 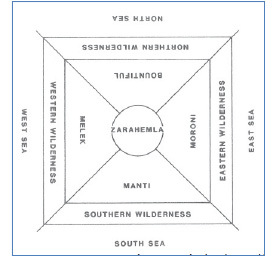 The combination of the Mesoamerican center and the perception of the quadrants as wedges emanating for that center explain how the Book of Mormon “north” might include a region that our cultural predisposition for cardinal directions would not recognize. Combined with the shifting center points from which directions or spatial relationships may be discussed, we have a culturally appropriate understanding the underlying plate text directions that yielded the English translations of north, south, east, and west. In addition to explaining the spatial terms, it also provides a cultural underpinning for why the land northward was Desolation and the land southward Bountiful. Sorenson’s geographic correlation not only remains the best supported, but what has been a directional conundrum actually provides further indication that the plate text was written in a region steeped in the Mesoamerican understanding of spatial orientation. A semantic point from the Book of Mormon is important. The Book of Mormon usually refers to the “land northward” and “land southward,” rarely to the “land north” or “land south.” (The latter terms occur only seven times; -ward terms appear 47 times.) The suffix ward, of course, signifies “tending or leading toward.” Gage correctly thought of Guatemala as “southward” from Mexico City, even though technically it was more nearly east. Similarly, if you board a plane in Los Angeles for Caracas, Venezuela, do you not mentally consider your direction southward? After all, your destination is South America; but actually you’ll end up traveling more east than south. Still, southward is correct. Brant A. Gardner (M.A. State University of New York Albany) is the author of Second Witness: Analytical and Contextual Commentary on the Book of Mormon and The Gift and Power: Translating the Book of Mormon, both published through Greg Kofford Books. He has contributed articles to Estudios de Cultura Nahuatl and Symbol and Meaning Beyond the Closed Community. He has presented papers at the Foundation for Apologetic Information and Research conference as well as at Sunstone.